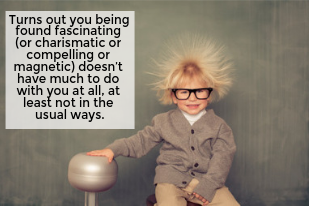 Turns out being found fascinating (or charismatic or compelling or magnetic) doesn’t have much to do with you at all, at least not in the usual ways. Charlie’s first co-author, David Maister of The Trusted Advisor fame, emphasized this same point: Shift your focus away from trying to impress others with your smarts and/or wit—in other words, away from trying to make them feel good about you when they’re around you—and instead make an effort to be fascinated by them, and to have them feel good about themselves when they’re around you. Think of it as a new and different take on charm school. This week, bring to mind an upcoming opportunity to listen to one or more people. The more likely you are to be bored, the better. Then, bring your curiosity to bear. What questions might you ask? How might you convey you’re really listening? 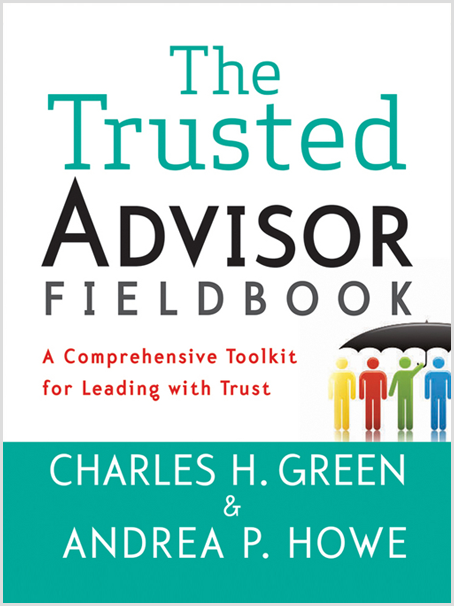 Check out our new eBook on Listening Mastery, if you haven’t already, or brush up on empathy as statements (not questions) in Chapter 6 of The Trusted Advisor Fieldbook.